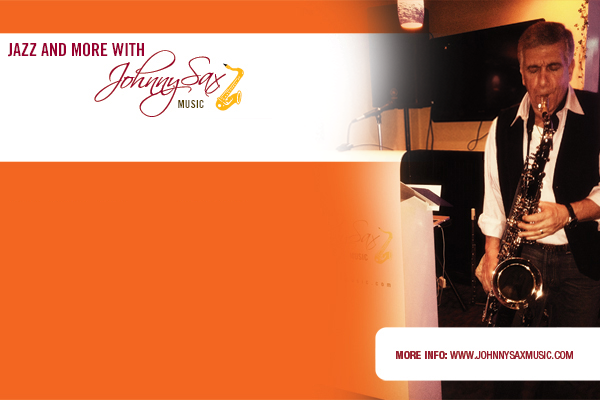 Johnny Sax Music combines Jazz/Rock/Fusion Standards for your listening entertainment. He is available for Private Parties, Restaurants, Social & Corporate Events & Concerts. If your event is looking for something unique and different Johnny Sax Music will provide that special touch. Entertaining you as a Jazz Soloist, Duo, Trio, and Quartet up to a 17 piece Big Band. If the booming sounds at your party or restaurant is interfering with conversations and affecting the ambiance of your event, then Johnny Sax Music has the solution.